Akhilesh Singh, M.D. 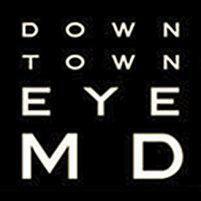 and the staff of Downtown Ophthalmology offer eye examinations and a full line of preventative screenings. The facility serves the residents of Queens and Forest Hills in New York, as well as many other neighborhoods and communities. How Often Should a Person get an Eye Examination? Ophthalmologists recommend their patients get an eye exam every year. A thorough eye exam not only detects changes in a person's vision, it also works to detect changes in the health of the eyes. During an eye exam, doctors will perform several screenings to detect changes in the eye that are related to glaucoma, cataracts, diabetic retinopathy, and macular degeneration. The ophthalmologist can also detect changes in the eyes that may be a direct result of other health conditions like high blood pressure or diabetes. Noticing these changes in their earliest stages can prevent permanent vision loss or damage to certain parts of the eye, like the optic nerve, retina, or cornea. What Health Conditions can be Identified During an Eye Exam? During an eye examination, an ophthalmologist will look for any abnormality within the eye or changes in the structure of the eye. The doctor will often uncover signs of health conditions that are unique to the eye itself. These include diabetic retinopathy, macular degeneration, cataracts, glaucoma, astigmatism, and other problems that affect a person's vision. In some cases, a person's vision may be affected by other health conditions. Diabetes, high blood pressure, head injuries, stroke, prolonged use of birth control or other types of medications, are all causes of changes in the eye. These conditions can affect both vision and eye health and should be treated before the person suffers permanent loss of vision or damage to the eye. An astigmatism is an abnormality in the curvature of the lens or cornea of the eye. In most cases, the curvature of the corner is symmetrical, or evenly balanced. When a person has an astigmatism, the curvature is more pronounced than it should be causing distortions in how a person sees lights or images. Astigmatisms can normally be corrected through the use of lenses, either in contacts or glasses, that adjust for the increased curvature. A person who has an astigmatism may suffer from headaches, blurred vision, and dizzy spells, especially if they spend hours a day reading or looking at a computer screen.